The second full-length effort from electronic and dance music prodigy Nicolas Jaar is more than just a record, it’s an experience. Jaar uses ambient noise – a set of keys falling to the floor or wind chimes ringing in the distance – to establish an atmosphere of mystery. Making your way through this record is not unlike navigating a labyrinth; you’ll stumble upon new sounds and sensations as Jaar’s voice guides you along. It’s the sort of music that should, whenever possible, be experienced live to really feel the full breadth of its impact. Sirens opens with “Killing Time,” a lofty track that sets the tone and setting for the rest of the record. It’s eleven minutes long but it effortlessly glides by, leading the listener into a louder tune, “The Governor.” Compared to its predecessor, this track is energetic and lively, making it my favorite tune on the album. From here, the record carries into a series of classic Nicolas Jaar tracks before revealing the best moment of the album. The final track, “History Lesson,” brings us to this moment. With less than a minute remaining in the entire record, Jaar slams his foot on the gas with an overload of sounds that comes together beautifully like the finale of a fireworks display. The drums kick into gear, and Jaar gives us all he’s got for one minute, only to take it away as quickly as it came. Jaar avoids over-saturating the song with content by keeping it just long enough to satisfy the listener. It’s always refreshing when an artist not only knows when to bring the energy, but when to shut it off. 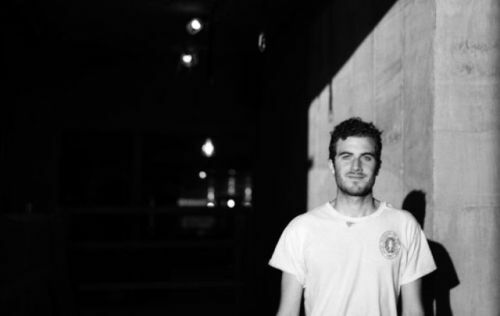 Check out Nicolas Jaar’s latest record Sirens, and don’t miss a chance to see why his unique brand of electronic dance music has earned him critical acclaim at First Avenue on July 14! Grab Tickets!